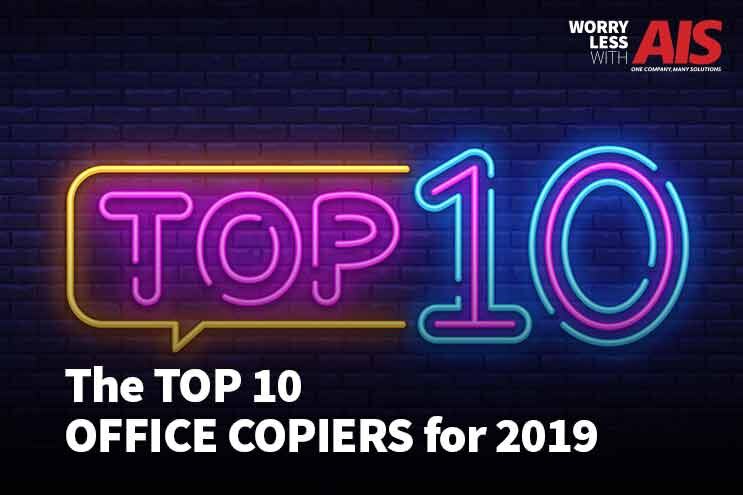 A new year for your business means finding the top office copiers of 2019 to help your company and employees succeed. An office copier isn’t always the easiest purchase to make, which is why we are here to help give you the tools and resources needed to do so. When it comes to your small or medium-sized business, it’s essential you make the right buying decisions, especially when it comes to office technology for small offices or large. Typically, an office copier (copy machine or multi-function printer) is an investment that you want to perform different functions in your business like copying, printing, scanning, and faxing and anything else to help you manage documents or workflow. You also want to make sure you purchase a device that can grow with your business to match your volume needs. It’s important to consider an office copier that is affordable at the initial purchase and doesn’t bankrupt your business when purchasing toner or maintaining it. To make this journey a little easier for you, we’ve taken some time to review the top office copiers for 2019, so you can see which office copiers are best suited for your office needs. To learn more about top office copiers, read our article, How to Choose the Best Office Copier For Your Business. It’s easy for just about anyone to make a top-ten list and throw it out on the internet for everyone to see. It’s important we explain to you how we rated our top 10 office copiers, so you know the features we feel are most important. All the printers in this review had a cost ranging from about $340.00 to about $2,000.00. 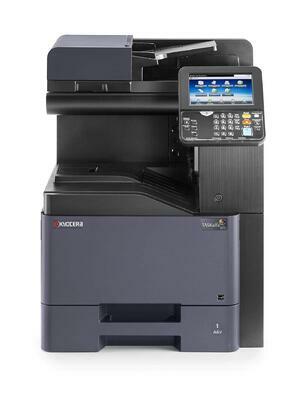 Many of these multifunction copiers had a range of expenses because each supplier has priced them differently. All pricing reviewed was for new devices. 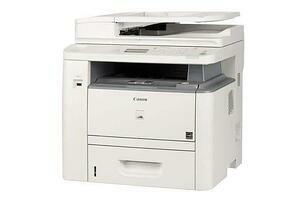 We did not include “refurbished” unit pricing for any of these copiers. Refurbished pricing is usually much lower, so be careful when you are looking for a new device. Consider all of these cost areas for how they relate to the lifetime value of the copier according to your business needs. Each copier we reviewed had different costs and volume limits for toner, monthly duty cycles (maximum monthly print/copy volumes), and replacement limits for drums. Even toner volumes differed for individual copiers and toner color. For example, some manufacturers store black-toner in their cartridges to increase the length of time between replacing black toner. This is due to higher black-toner usage when printing both black and white and color. One last item we calculated was the cost per page to compare each of the printers for the costs associated with similar volume requirements. Toner is an important cost, and every business should make sure that they aren’t cutting any costs by using something other than original or genuine toner, cartridges, and parts. 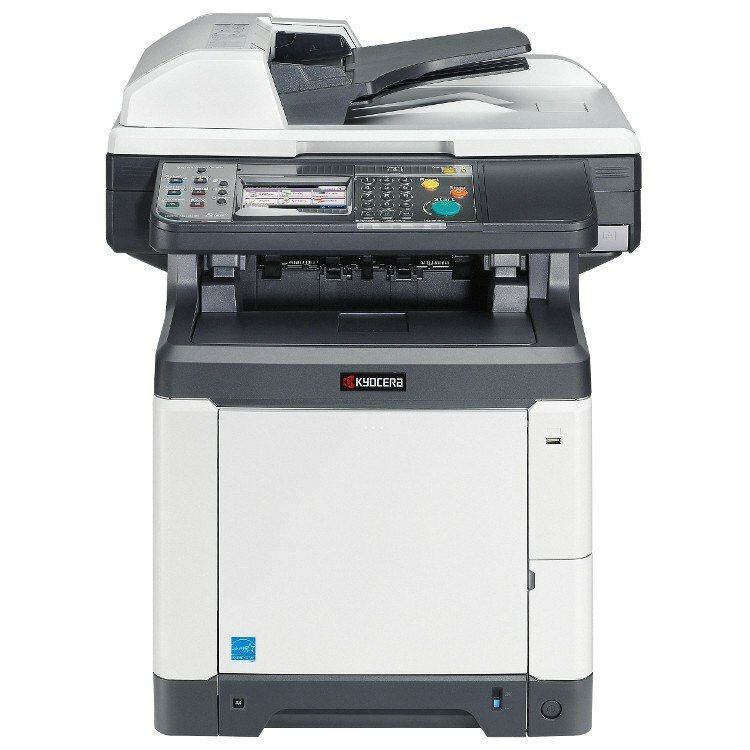 If you are comparing prices on different copiers, make sure you see what size toner they may include with each device. Manufacturers may ship it with a smaller version to decrease the purchase price. We reviewed all of these office copiers in two different areas of excellence: the quality of printing and the quality of scanning. 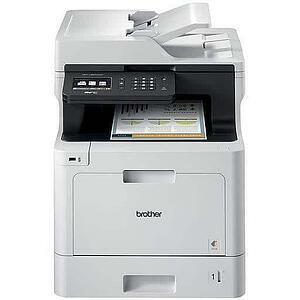 Each office copier specifies the resolution that it can print and scan. The majority of the copiers we tested had a minimum print resolution of 600 x 600 and the same average scan quality. 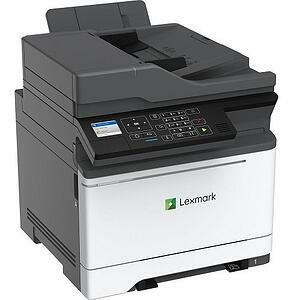 Although small businesses are sending more email than any other form of communication, we found that all but two of these printers included the ability to send and receive faxes. 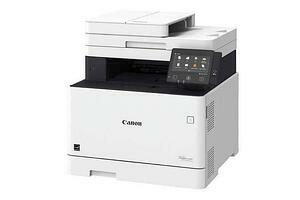 Exploring different office copier features is an easy way to review, compare, and grade copiers. 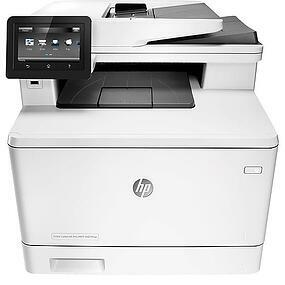 Each copier’s manufacturer posts the number of prints their device can print over time. This is represented using “ppm” or pages per minute. Also, they can specify the number of pages their copier can scan per minute. This rating is characterized using “ipm” or images per minute. 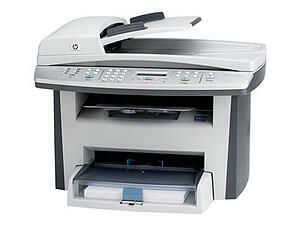 Another feature that differed between these office copiers was the amount of paper capacity. This differed from copier to copier. Ipm was not highly weighted in our review since it’s not an area of concern for most small businesses. To learn more about the features of an office copier, read our article, How to Use a Copy Machine: Basic and Advanced Features. An office copier needs to communicate with your business and employees. It’s important for the devices to be networked so that your staff can print or scan, send, and distribute files to a directory, email address, to their inbox, or other employees. Only a few offered wireless networking capabilities and most of these office copiers provided some form of printing from mobile devices. Copy, email, fax, print, and scan. Perfect for small to mid-sized office or personal use. 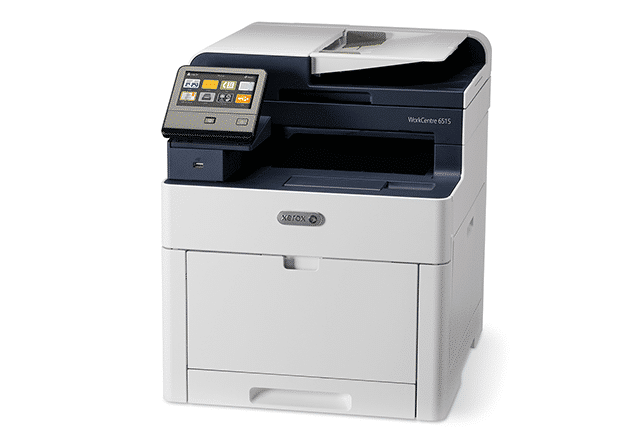 When considering the right office copier for your business, make sure you take into account all of the features and characteristics we provided above and compare all the different models. At first glance, you may think that the purchase price and a few features are the most critical areas for consideration, but this is only scratching the surface. Speed, quality, operating costs, supplies, capacity, and expandability should be considered in your decision-making process, as well. 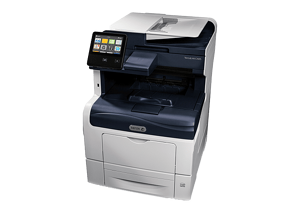 Visit our Office Copy Machine Ultimate Resource Page for additional info on pricing & costs, and just about anything else related to your office copiers. At AIS, we decided to weigh all of the different options before making a recommendation on the top office copiers of 2019. It’s our goal to help small and medium-sized business owners in their buying decisions and become more educated buyers. If you’re interested in learning more on which office copier is best for your business, contact us, here. We’re here to give you peace of mind to help you win more business.